Maybe that's our problem. We do eat a lot of vegetables! I agree with Vic on this one. "To each his own the old man said as he kissed the cow!!" Wait, we can activate seat ventilation with the fob? Which button does this? I'll just have to live knowing my fob is 100% without a scratch on it, even if I can't see it's without scratches! CaptainE raises a good point. My hands are generally very dry in the winter in the northeast and the key is very slippery. Many is the time that it slid out of my hands and skid across the floor. For my part, the cover is more about a grippy cover than covering the fob. But the OCD in me likes the scratch protection nevertheless (despite 1 or 2 scratches on the corner already existing). 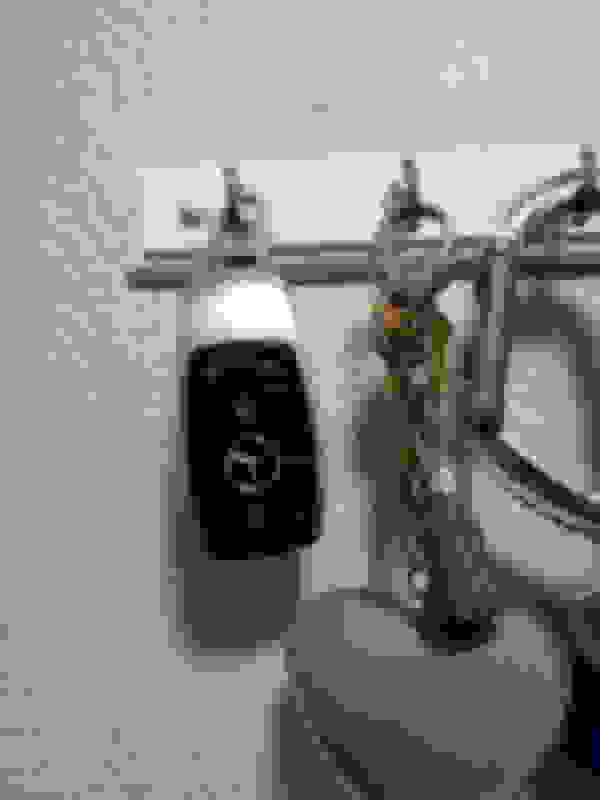 I use Mercedes me to remote start the car so it is cool and comfy when I get there. 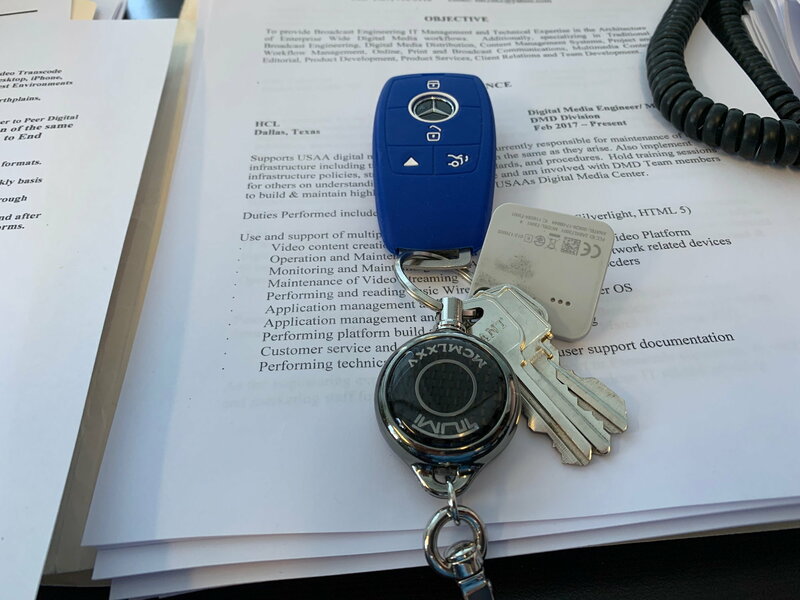 Page 79 of the operator's manual says that if you press and hold the SmartKey unlock button, it will unlock the car, open the side windows and sunroof, and switch on ventilation of the driver's seat. Yeah, using a brick...but it's a one time option and pretty permanent. Ha! Added benefit: Exe rcise! UPDATE: I tried this a couple times today in different locations, and could not make it work. No windows opened. Sunroof did not open. When it comes to learning about this car, I'm still drinking from a firehose. Some key factoid may have blown right past me. I'll research this further as time permits. Alternative might be to rip that page out of the manual and burn it. Lensjack - Stand close to the driver's door and point the keyfob directly at the driver's door handle while pressing and holding the unlock button. Last edited by allfortheunion; 01-24-2019 at 07:07 PM. Best mercedes keyfob design ever. it's about time they change the design. I just carry the fob only. The slick (soap) design easily slip right in my pocket and never have to use it until i get home and pull it out. I have no ring on the key, I just stick it to my magnet on my home key holder. The problem is you got to really press hard and hold it as you are doing the operation. Especially in convertible operation. This really needs to be improved on in the FOB. Last edited by rustybear3; 01-26-2019 at 10:18 AM. I love old MB keys that actually resembled a key. They were unique if you asked me. My experience with a lot of device covers, for phones and such, especially soft plastic devices- ones that get used and pocketed often- are that lint, grit and such get under the cover. And then the cover just helps keep it in there- slowly grinding into the smooth shiny plastic, creating little tiny scratches with every step you take, every time you touch or move the key. Every. Day. All. Day. Sand, grit, scratching, marring, dulling. But, with a cover! now worries- outta sight outta mind right? Perhps jL100086, but these fob covers are very very very snug. It would be very difficult for anything to get under the cover. If dust can scratch the fob, they are too easily scratched to begin with. Another advantage as far as I'm concerned is the fob is now grippy with a silicone cover, whereas without one, they are really slippery little buggers. My fob sits alone in my left front pocket. It is readily available if it is ever needed. In over a year I have needed it only once when I had the A service. Here's how it worked for me: The first long press (aimed at driver's side door handle) unlocked the doors. The second long press (similarly aimed) opened the windows and sunroof, and turned on seat ventilation. All while standing close enough to the car to touch the door handle. Haven't yet tried it from a distance. But this at least beats a kick in the fruit stand. Thanks again. Thank you validating my OCD card is up to date with the rules contained in the manual!! !